We've been working with Orchestrator recently and came across a subtle incompatibility issue. 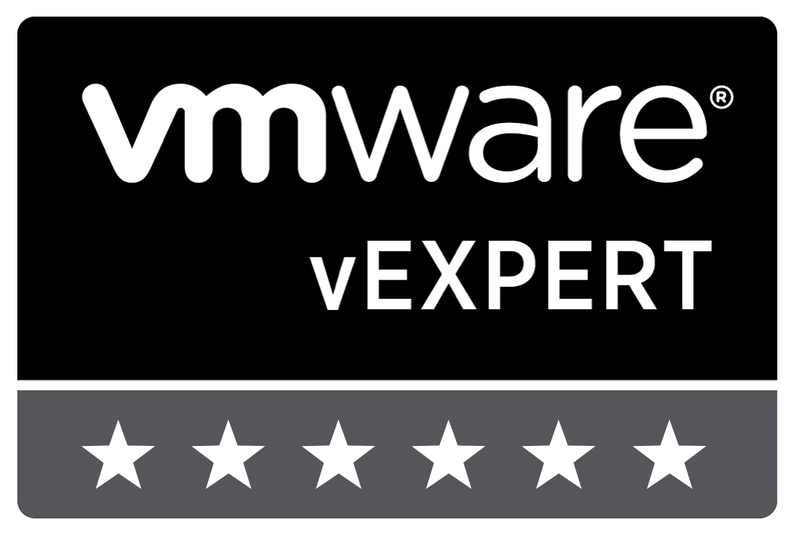 Our vCenter is currently version 5.5, update 2. 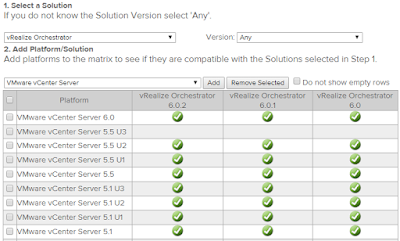 We came across an authentication issue and one of the more popular work arounds on the forums was to upgrade Orchestrator to version 6. 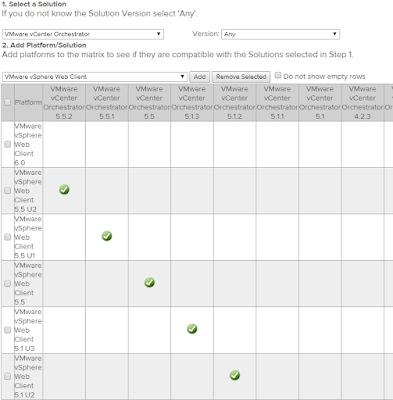 We did a quick compatibility check on the good old VMware Interoperability Matrix and found that Orchestrator 6 has no problems with the vCenter 5 family, so we went ahead with the plan. We applied the update and everything seemed to be working just fine for several months. 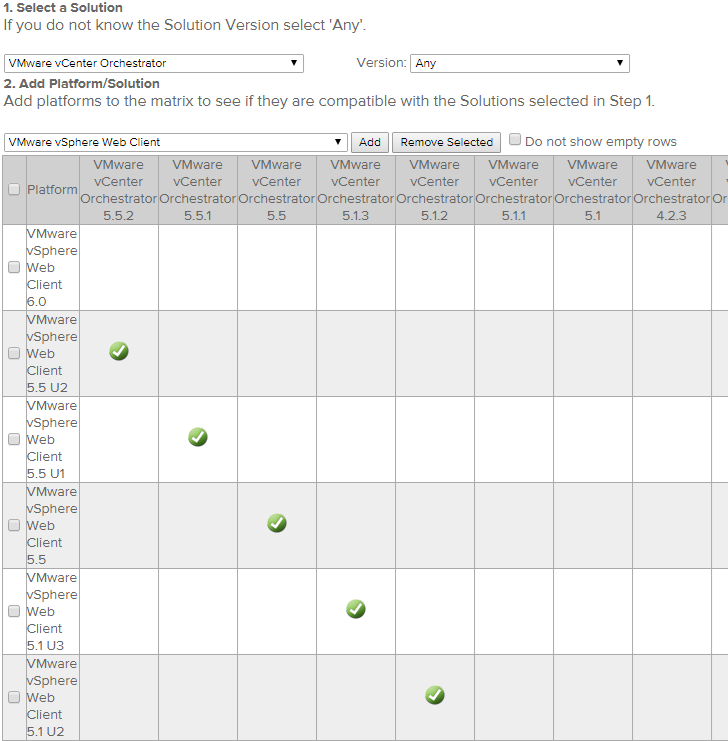 We decided that we're happy with how Orchestrator is working and so want to roll it out to several of the other vCenter servers in the environment... and that's when we ran into a problem. 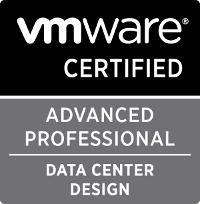 We had some difficulty adding the second vCenter to the system, so we went ahead and removed the first one and then re-added them both. They added just fine, so I logged into the Web Client to kick off a test workflow... and Orchestrator was missing. 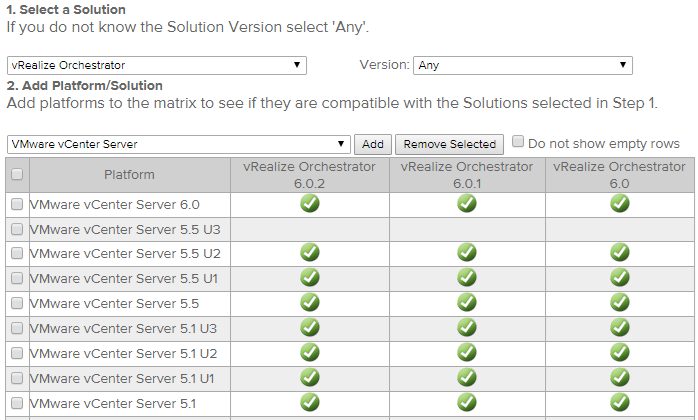 The whole Orchestrator section of the Web Client was just gone. We dug around in the MOB and found that the extensions were there and tried all sorts of restarts and removals and reinstalls, to no avail. Installing bundle ‘com.vmware.vco.vcoui’ version ‘5.5.0’. Stopped bundle ‘com.vmware.vco.vcoui’ version ‘5.5.0’. We removed both vCenter servers from Orchestrator (and the Orchestrator 6 folder from the C:\ProgramData\vmware\vSphere Web Client\vc-packages\vsphere-client-serenity\ folder) and restarted the web service again; this time we only saw the install messages and the Orchestrator plugin appeared in the web client (although we didn't have any Orhcestrator servers registered). When we registered our Orchestrator system and restarted the web client again, it went back through that install/uninstall process and the whole plugin failed to load once more. This pointed us at the compatibility matrices again. You see, it turns out that supporting vCenter does not mean supporting all of vCenter's functions. 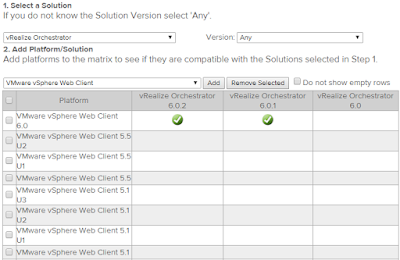 In this case, if we select the "VMware vSphere Web Client" as the platform on the matrix, we can see that Orchestrator 6 does not support any of the vCenter 5.5 Web Clients. 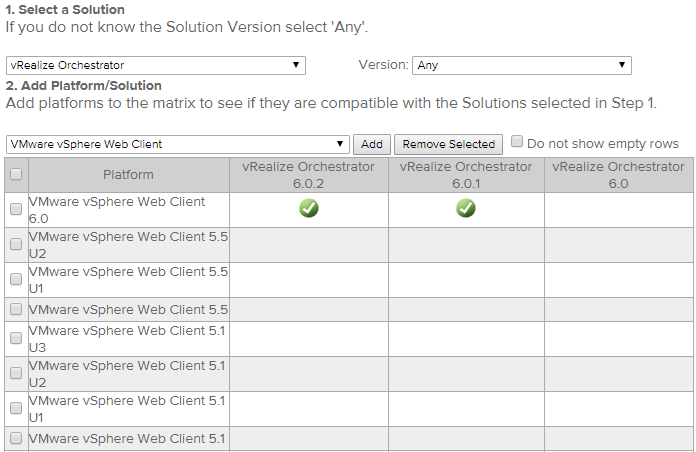 If we change our Solution to vCenter Orchestrator (the name of the 5.x version of Orchestrator), we can see that it has absurdly specific support for the vCenter Web Client.